Fred and Denise Smithers first met at a dance when they were teenagers. A few years later, they met again and got married in 1972. The couple both worked in different areas of the UK healthcare system, having moved from their native Wiltshire to the borders of Scotland. Music and Beauty have been two constants in their lives and once they had decided that they had had enough of the rain of the northern UK, they chose that part of Spain with the least rainfall - Almeria. It is here that they are inspired by the beauty of their surroundings and the area’s seeming abundance of musical inhabitants. 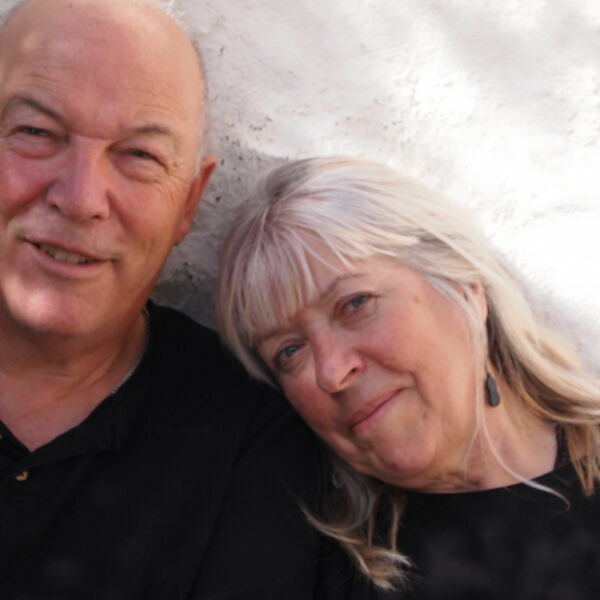 The couple have now made their home on the edge of the Almeria desert, and their love of music resulted in them forming the folk-inspired duo, RioMacrae. This new phase in their lives has seen them perform in Spain, the US and the UK. All content © 2019 Life Stories with Ian Rutter.